Located 11 miles east of Montrose, Colorado this end-of ranch is the essence of Colorado Ranch living. Beginning with lush, irrigated meadow the productive hay ranch escalates in elevation 1,200 feet allowing a mix of vegetation suited perfectly for alpine livestock grazing and big game hunting. 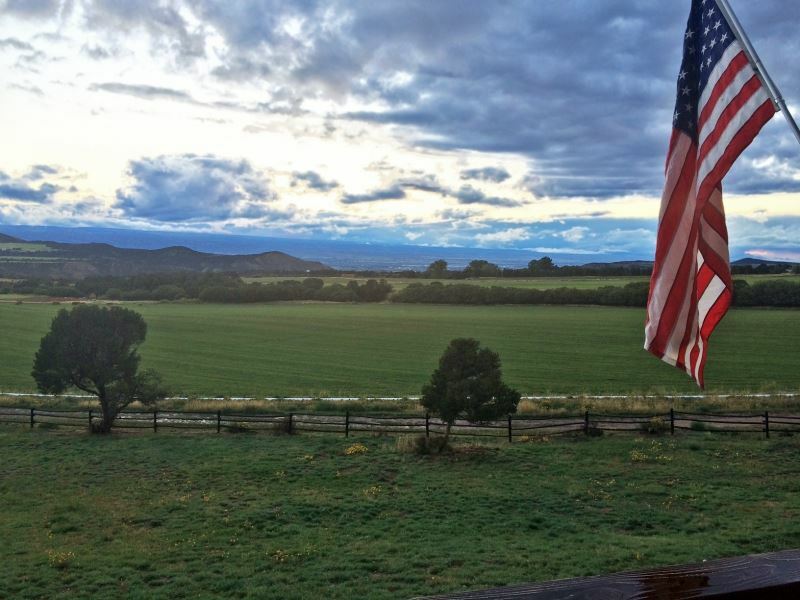 The ranch features 163 irrigated acres, historic water rights, huge mountain views and multiple sources of domestic water. 420 acres of the ranch are cross-fenced for optimal cattle grazing rotations and crop production. The ranch includes a 4-bedroom, 2-bathroom, mountain cabin with loft and 1-car garage. Other improvements included a 3-bedroom, 2-bathroom, Caretaker's home, large equipment shop and numerous outbuildings. All but 37 acres of the property have been preserved with a conservation easement. The ranch has a fully producing hay farm and landscape tree nursery at work, and offers excellent grazing habitat for livestock and wildlife alike. In the winter it is great for snowmobiling, snow-shoeing or cross-country skiing. If you're looking for that ranch hidden around the corner with year-round county maintained access from which you can easily run to town and get milk in time to be home for a successful big game hunt in the afternoon, the KM Ranch is for you.